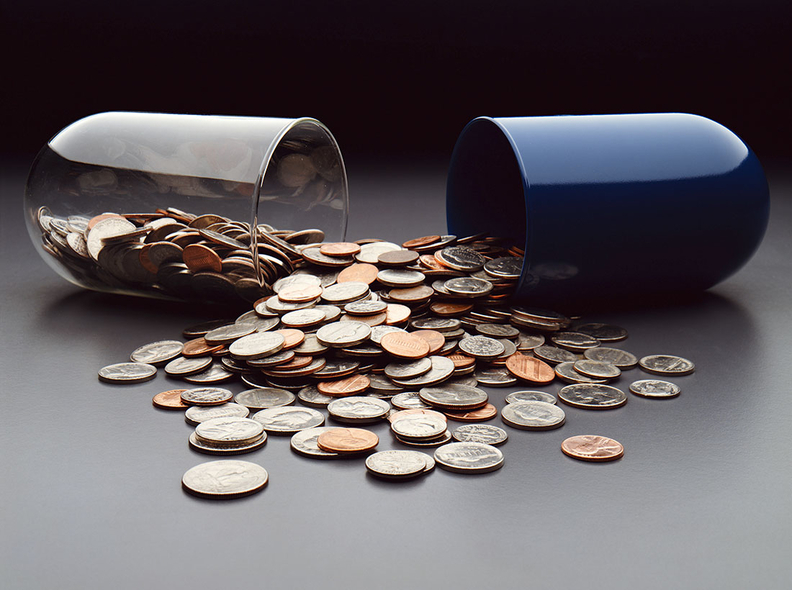 Two House lawmakers introduced a bipartisan bill Tuesday to prevent the CMS from imposing its slated $1.6 billion cut to the 340B drug discount program. Rep. David McKinley (R-W.Va.) and Mike Thompson (D-Calif.) introduced a three-page bill that essentially asks HHS to leave 340B rates as they're currently set rather than implement the changes outlined in a finalized rule. "CMS' misguided rule jeopardizes the ability of rural hospitals to provide vital services," McKinley said in a statement. "This bill ensures that hospitals are able to continue providing affordable services and gives rural families peace of mind." Starting Jan. 1, the CMS will pay hospitals 22.5% less than the average sales price for drugs acquired under the 340B program. The current 340B payment for drugs is 6% on top of the average sales price, which is Medicare's long-standing pricing method, despite rising drug costs. With the proposed changes, if a drug costs $84,000, the CMS would pay just over $65,000 instead of $89,000 for the medication. Vaccines would continue to be paid at the current rate. The American Hospital Association, the Association of American Medical Colleges and America's Essential Hospitals sued the CMS over the proposal, and have already thanked McKinley and Thompson for their proposed legislation. "They understand the damage this policy will cause to communities in West Virginia, California and across the country, and we appreciate their efforts to protect patients," Dr. Bruce Siegel, CEO of America's Essential Hospitals, said in a statement. A CMS spokesman said the agency does not comment on pending legislation. The proposed law does not seek to alter or cancel claim modifiers that the CMS asked hospitals to develop to track which drugs are obtained under the 340B program. Hospitals said the CMS erroneously assumed that all of their drugs are purchased under 340B, but the system used for purchasing medications is actually separate from a hospital's pharmacy drug-dispensing system and patient-billing system. As a result, it may take three to 10 days post-dispensing before the hospital knows whether a drug was purchased under 340B. During the 340B comment period, some hospitals said it would take up to a year to test and implement a new health IT system, but the CMS has only given them until Jan. 1 to do so, putting them at risk of loss of reimbursement for noncompliance. Spokesmen for McKinley and Thompson did not return requests for comment on the matter.